Firefighters: Your uniform is clearly required by your employer, and not appropriate to wear out to dinner! Professional Athletes – If you’re making $5 million a year, you probably aren’t cleaning your own uniform, nor deducting the cost! You also can’t deduct dry cleaning your uniform if you attend an armed forces academy, as in that case it replaces your regular clothing. You can deduct the cost of your uniform if you are a civilian staff member at a military school. I guess it all goes back to the IRS requirements of whether your uniform is required by your employer AND inappropriate for casual or other use! 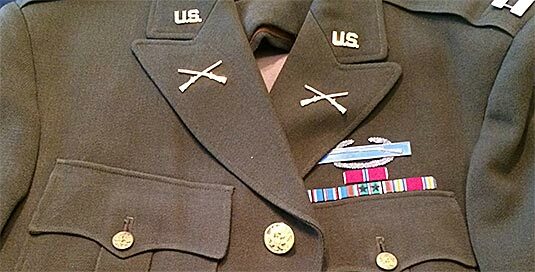 I don’t think the IRS has the balls to audit a soldier over a few hundred dollars of uniform dry cleaning expenses. I’m going to keep deducting that cost, as I have few write-offs as it is, and served in Iraq. Superb blog you have here but I was curious if you had specific information on whether nurses and nurse practitioners who work part time can deduct the cost of cleaning uniforms? Some weeks I don’t work any hours, and I didn’t know if there was a minimum number of hours that you need to work to justify writing off the cost of dry cleaning, nurse shoes, and uniforms. thanks!